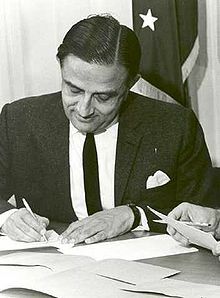 Vikram Ambalal Sarabhai (12 August 1919 – 30 December 1971) was an Indian scientist and innovator widely regarded as the father of India's space programme. Sarabhai received the Shanti Swarup Bhatnagar Medal in 1962. The nation honoured him by awarding Padma Bhushan in 1966 and Padma Vibhushan (posthumously) in 1972. Son of Ambalal Sarabhai, he came from the famous Sarabhai family of India who were major industrialists committed to the Indian independence movement. 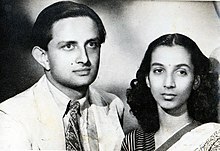 Vikram Sarabhai married the classical dancer Mrinalini in 1942. The couple had two children. His daughter Mallika gained prominence as an actress and activist, and his son Kartikeya Sarabhai too became an active person in science. During his lifetime, he practiced Jainism and belonged to the Shrimal Jain community of Ahmedabad. Known as the cradle of space sciences in India, the Physical Research Laboratory (PRL) was founded in 1947 by Vikram Sarabhai. PRL had a modest beginning at his residence, the RETREAT, with research on cosmic rays. He led the Sarabhai family's diverse business conglomerate. His interests varied from science to sports to statistics. He set up Operations Research Group (ORG), the first market research organization in the country. Most notable among the many institutes he helped set up are the Nehru Foundation for Development in Ahmedabad, the Indian Institute of Management Ahmedabad (IIMA), the Ahmedabad Textile Industry's Research Association (ATIRA) and the (CEPT). Along with his wife Mrinalini Sarabhai, he founded the Darpana Academy of Performing Arts. Other institutions established by him include the Faster Breeder Test Reactor (FBTR) in Kalpakkam, Variable Energy Cyclotron Project in Calcutta, Electronics Corporation of India Limited (ECIL) in Hyderabad and Uranium Corporation of India Limited (UCIL) in Jaduguda, Jharkhand. Sarabhai started a project for the fabrication and launch of an Indian satellite. As a result, the first Indian satellite, Aryabhata, was put in orbit in 1975 from a Russian cosmodrome. The decade following independence in 1947 was a witness to a surge of innovative ideas to build a fledgling independent nation into a model democratic state committed to growth with equity in the development of its people. The establishment of Indian Institute of Management Ahmedabad (IIMA) was the outcome of one such innovative initiative. The Vikram Sarabhai Space Centre, (VSSC), which is the Indian Space Research Organization's lead facility for launch vehicle development located in Thiruvananthapuram (Trivandrum), capital of Kerala state, is named in his memory. Along with other Ahmedabad-based industrialists, he played a major role in setting up of the Indian Institute of Management, Ahmedabad. In 1973, the International Astronomical Union decided that a lunar crater, Bessel A, in the Sea of Serenity will be known as the Sarabhai crater. ^ "Vikram Sarabhai Biography". mapsofindia.com. mapsofindia. 30 January 2014. Retrieved 22 July 2015. ^ "Mystery behind Vikram Sarabhai's death". Times of India. 30 December 2008. Retrieved 22 July 2015. ^ "Vikram Sarabhai's love affair gave birth to IIM-A". Times of India. 8 January 2014. Retrieved 22 July 2015. ^ "Witness to persecution". tribuneindia. 14 January 2006. Retrieved 22 July 2015. ^ "The Visionary – Vikram Ambalal Sarabhai". Vikram Sarabhai Space Centre. Retrieved 22 July 2015. ^ "Profile of the Awardee, Dr Vikram Ambalal Sarabhai". ssbprize.gov.in. Retrieved 22 February 2016. ^ "Padma Awards Directory (1954–2013)" (PDF). Ministry of Home Affairs, Government of India. 14 August 2013. Archived from the original (PDF) on 15 November 2014. Retrieved 21 July 2015. ^ "Jains steal the show with 7 Padmas". The times of India. Times of India. 9 April 2015. Retrieved 9 December 2015. The Jain community has always nurtured exceptional talent whether it is eminent scientist Vikram Sarabhai, who is considered the father of the country's space programme, or poet, thinker and spiritual leader Banarsidas who composed the magnum opus Ardhakathanaka, the first ever autobiography in Hindi literature. ^ "BRIEF HISTORY". Physical Research Laboratory, Department of Space, Government of India. Archived from the original on 8 April 2016. Retrieved 28 March 2016. ^ Sarabhai (crater) – "Planetary Names: Sarabhai on Moon;". Gazetteer of Planetary Nomenclature, IAU, USGS, NASA. 18 Oct 2010. Retrieved 22 July 2015. 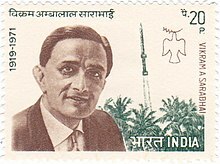 Wikimedia Commons has media related to Vikram Sarabhai.